For those seeking an Internship Program with added adventure. Combine your CRCC Asia international internship placement with a tour of China or Japan led by The Dragon Trip. The Travel Add-on is available to those completing 1 or 2-month internships. Already enrolled onto one of our Internship Programs? No problem! 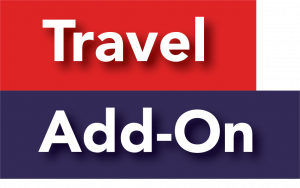 Contact us for details on how you can easily include the Travel Add-on as part of your Program. The trip is designed with flexibility in mind, so although the travel portions include a number of unmissable attractions, some of the activities are optional, and not included in the price – you can pick and choose and pay for them on the day, each day, depending on your interests. You will travel on night trains comprised of a fully flat bed with clean linen. You will also stay in carefully chosen hostels and guesthouses – all safe and clean. The trips’ Adventure Leaders are Chinese guides, who all speak high levels of English and Mandarin. The Travel Add-On conveniently begins the day after the end of your internship placement. Why not start your internship placement in Tokyo or Osaka with a comprehensive tour of the country? The trip is designed with flexibility in mind, so although the trip includes a number of unmissable attractions, some of the activities are optional, and not included in the price – you can pick and choose and pay for them on the day, each day, depending on your interests. You will travel by Japan’s bullet train and stay in carefully chosen hostels and guesthouses – all safe and clean. The trips’ Adventure Leaders are usually American guides. The Travel Add-On conveniently takes place before your Internship Program, therefore it will end one day before your Internship Program begins.